This is a mild yet flavorful soup that is popular in Chinese restaurants. Definitely one of my favorites. The cilantro and the silky eggs give it a beautiful presentation and you’ll find that your guests will be impressed when you serve this. 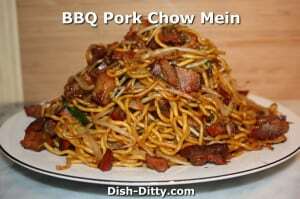 Or, just serve it to your family for dinner and find that one batch may not be enough. 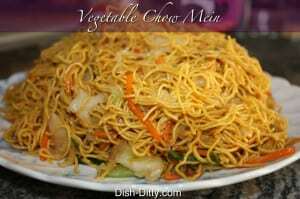 Whenever we go to a Chinese restaurant (which is actually pretty frequent), this is my soup of choice. But, my son really likes Sizzling Rice Soup, so we usually end up getting that instead. So, what do I do? 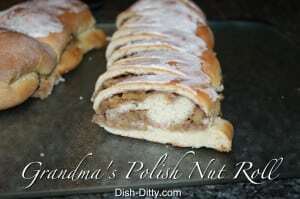 I make this one at home. 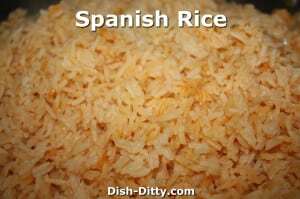 It is a quick soup to make and has just a few ingredients, all of which are usually in my pantry and refrigerator. 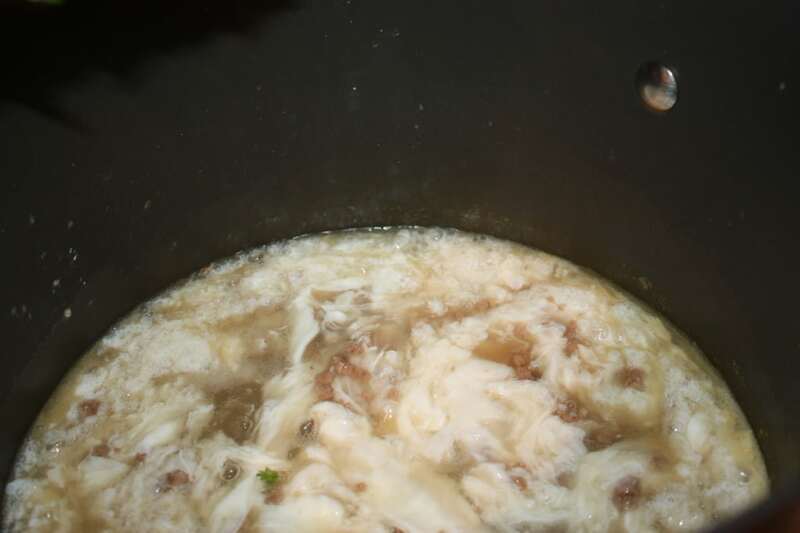 This soup is said to be a local Zhejiang dish. Zhejiang is a provence in China that is known for it’s beautiful lake. 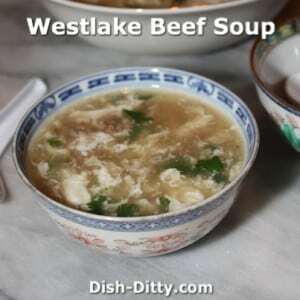 Hence, Westlake beef soup. Is this accurate? I have no idea, but it makes sense. 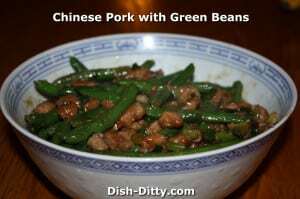 One of the things you will find when making many of the restaurant style Chinese soups is that they are very quick to make. 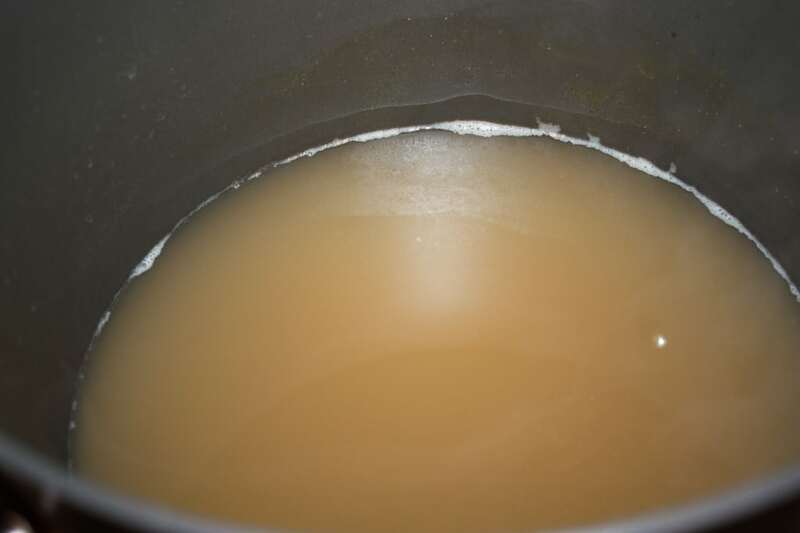 They tend to start with chicken broth, are sometimes thickened with cornstarch and many use eggs as a means of adding additional thickness and color. 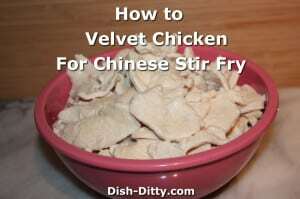 Other soups that use this style is Egg Flour Soup, Velvet Chicken with Sweet Corn Soup, and Hot & Sour Soup. 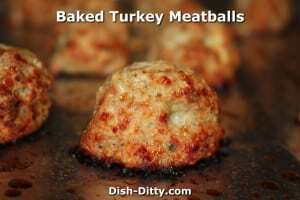 Just vary the seasonings a little, add different cooked ingredients, and voila! A quick soup that will not break the bank. 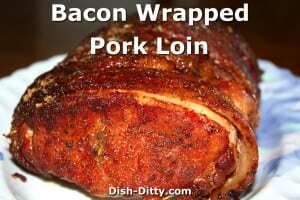 Also something to note, this recipe calls for rinsing the meat. This is an important step. A lot of the recipes you find on the internet have you adding the meat to the soup in it’s raw form. That will make a greasy soup and won’t be very pleasant. 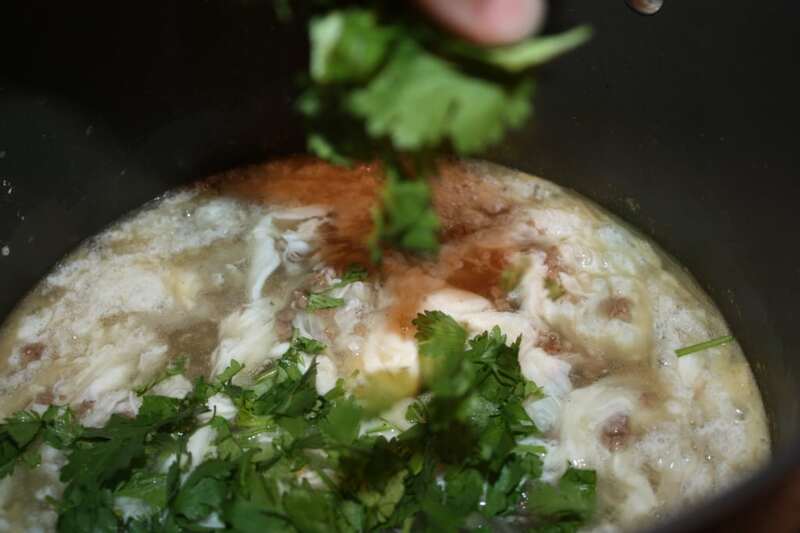 This method will let the soup be the flavor not the grease. Now, onto the recipe! Enjoy! 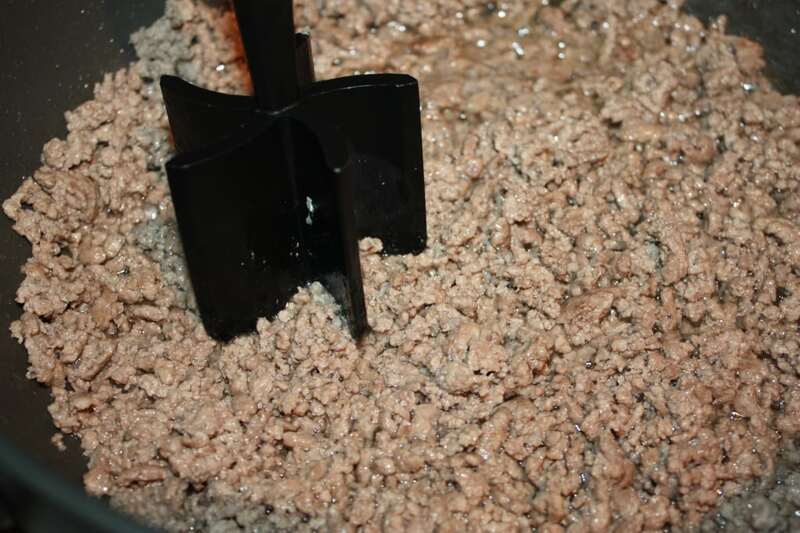 Brown 1 pound of ground beef. 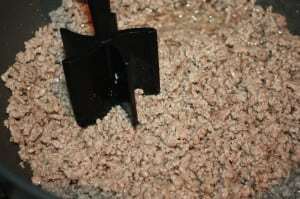 Use a meat masher to make the meat as finely minced as possible. 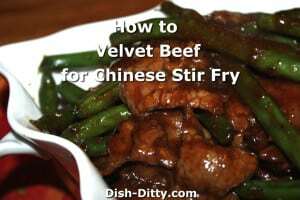 Using a higher fat beef works best for this or one that is ground fine not course. 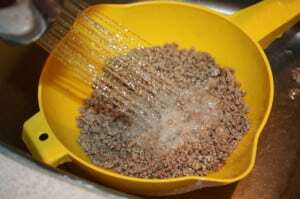 Drain ground beef in colander and rinse with hot water. Set aside. 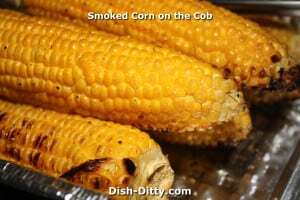 In small bowl, mix together the water and cornstarch until the cornstarch is fully incorporated. Bring soup to a slow boil and slowly stir the cornstarch mixture into the soup. Boil for at least 2 minutes, stirring frequently. Soup should thicken. 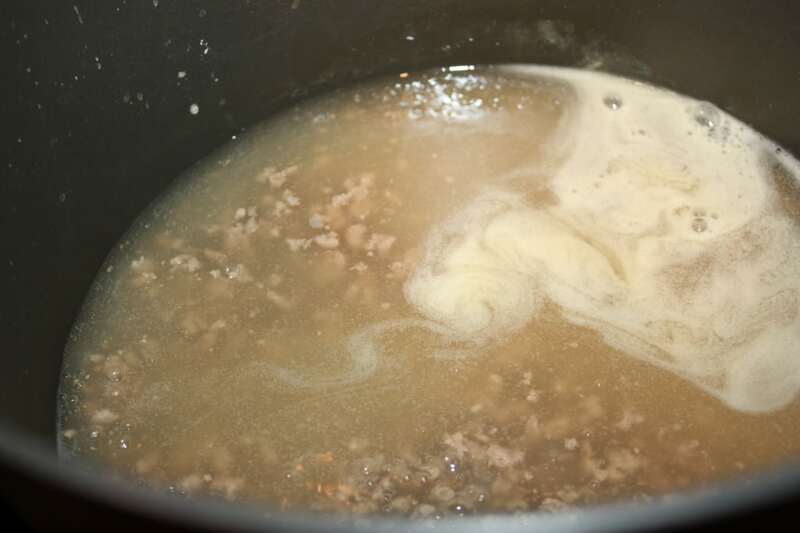 Add the meat and bring it back to a boil. 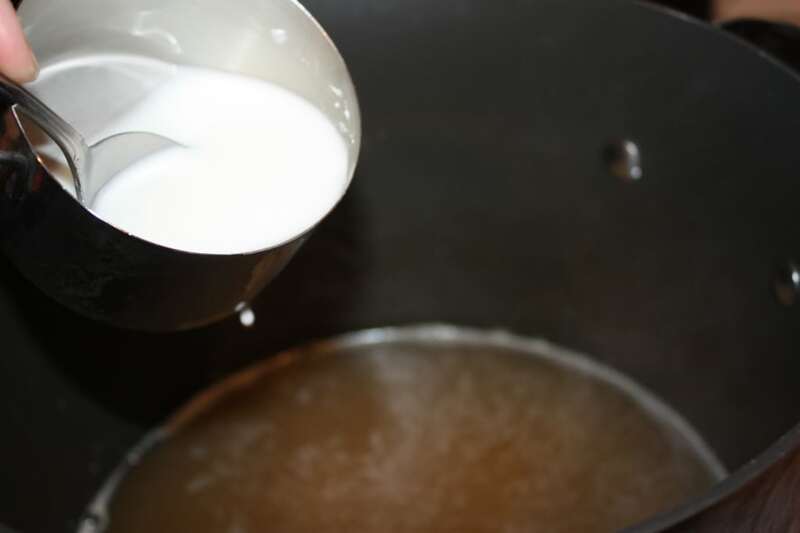 Reduce heat to a medium simmer. With chopsticks, slowly stir in the egg whites but DO NOT MIX. You just want to separate the egg whites as you are pouring them slowly into the soup. Once all the egg whites are in don't touch it, let it slowly simmer for about 1 minute to fully cook the eggs. Remove from heat and gently mix in the cilantro, again, you want to keep the egg whites in a half mixed in state. Serve immediately. 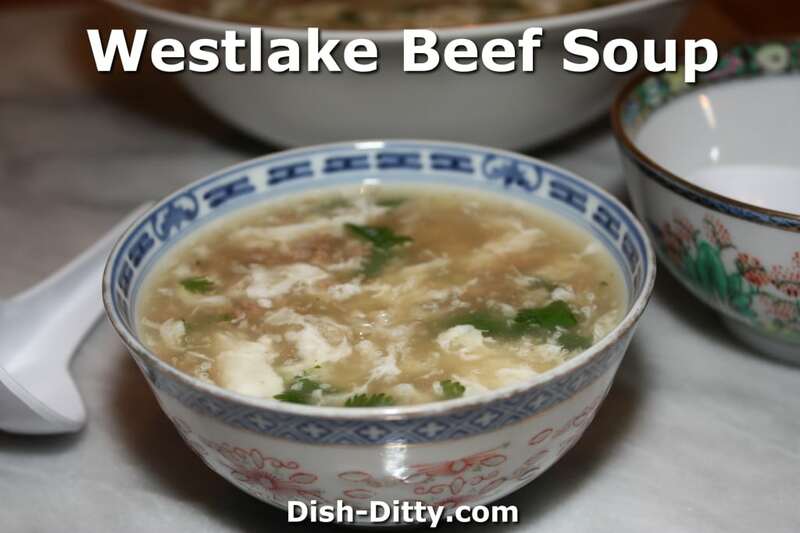 No Replies to "Westlake Beef Soup Recipe"